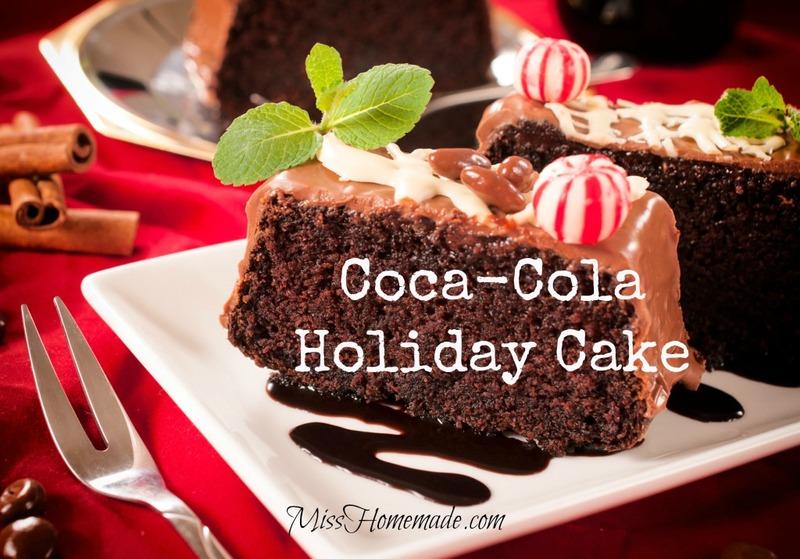 Now here's a winning homemade Coca Cola cake recipe from scratch that you will have to make time and time again. Why? It's so good. The melting marshmallows float to the top, and makes the top of the cake chewy like brownies. You can't stop at one piece. The frosting is an awesome addition. PREHEAT oven to 350 degrees. Grease and flour 9x13 inch pan; set aside. In a saucepan over medium heat, add 1 cup butter, 5 tablespoons cocoa, and 1 cup of Coke. Bring to a boil. Meanwhile, combine the flour and white sugar in a mixing bowl. Pour the hot butter mixture over it and mix well. Add the buttermilk, eggs, baking soda, vanilla and marshmallows; beat well. Pour into the prepared pan and bake for 35 to 40 minutes, or until a toothpick inserted in the center comes out clean. You will want to frost the cake as soon as it comes out of the oven. For the frosting, bring the butter, cocoa and cola to a boil in a saucepan. Add the powdered sugar and whisk well. Fold in the nuts and frost the cake with the warm icing as soon as it comes out. In a large bowl, add the cocoa, 1/2 cup butter, 1 teaspoon vanilla and cola - combine. Add the powdered sugar, one cup at a time and beat until smooth and creamy. Fold the nuts in, and frost.